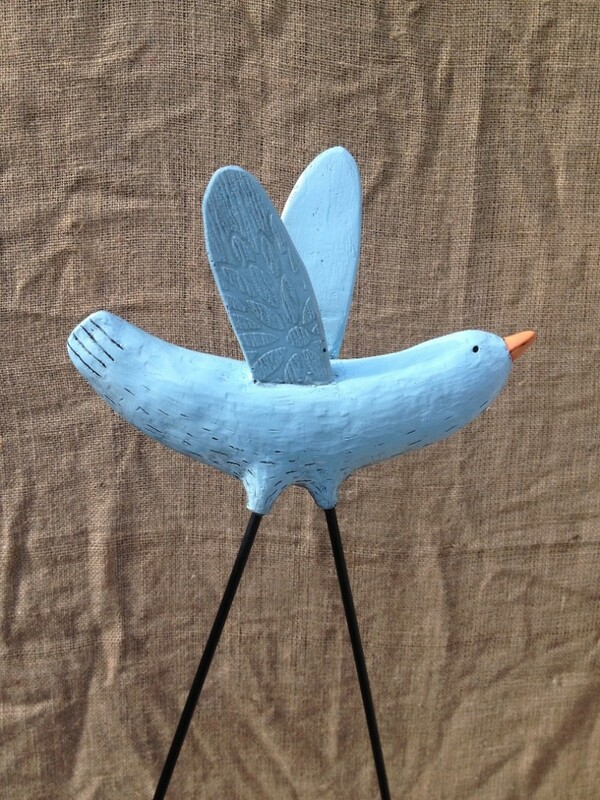 This is a really special walking blue bird with 1meter long legs mounted on a 4 prong ground spike. This looks great walking across a lawn of in a bed of plants. When the 4 spikes are are pushed into the ground it looks as if the birds feet are on the ground. The legs and spikes are finished with durable black gloss powder coat. You will not find anything like this - absolutely stunning!!!! Limited availability, currently there is a waiting list running. Please contact me to join the list and get an expected delivery date.